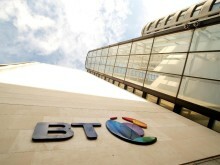 BT Consumer today became the first broadband retailer to offer a 100 megabits per second (Mbps) speed guarantee for its new Ultrafast Fibre broadband packages. BT is launching two new Ultrafast Fibre packages with speeds of up to 152Mbps and up to 314Mbps, both with a speed guarantee of 100Mbps. Customers who sign up for either package will get compensation if their download speed ever falls below 100Mbps. No other UK Internet Service Provider currently guarantees these high speeds – backed by compensation. The 100Mbps guarantee means customers can enjoy ten times the UK average standard* broadband speeds at peak times. Customers on Ultrafast 2 will be able to download an HD movie in just under three minutes versus nearly an hour with standard broadband. Prices will start from just £54.99 a month for Ultrafast Fibre 1 and the Ultrafast Fibre 2 option will cost £59.99 a month, both including our new Smart Hub – the UK’s most powerful wi-fi router versus other broadband providers and access to five million Wi-fi hotspots. More than a quarter of a million homes in the UK are already able to take advantage of BT Ultrafast Fibre broadband today, with a 100Mbps guarantee, as the network rolls out. This is the latest stage in the journey to continue to provide faster speeds for UK customers. Openreach continues to invest for growth and intends to accelerate its ultrafast speeds network deployment. Marc Allera, chief executive of BT Consumer, said: “We are the first and only company to guarantee speeds of 100Mbps for our customers, even at peak times when people really need their broadband to deliver. “Ultrafast technology is going to be a vital part of a transformation in the speed that our customers receive. 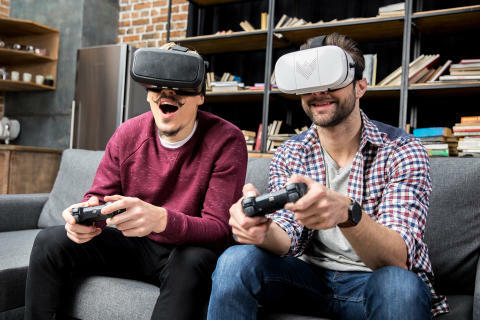 Whether it is six in the evening or six in the morning, with Ultrafast Fibre everyone can be online at the same time, streaming, downloading and gaming. The new broadband products will be the fastest that BT Consumer sells and some of the fastest speeds available in the UK.